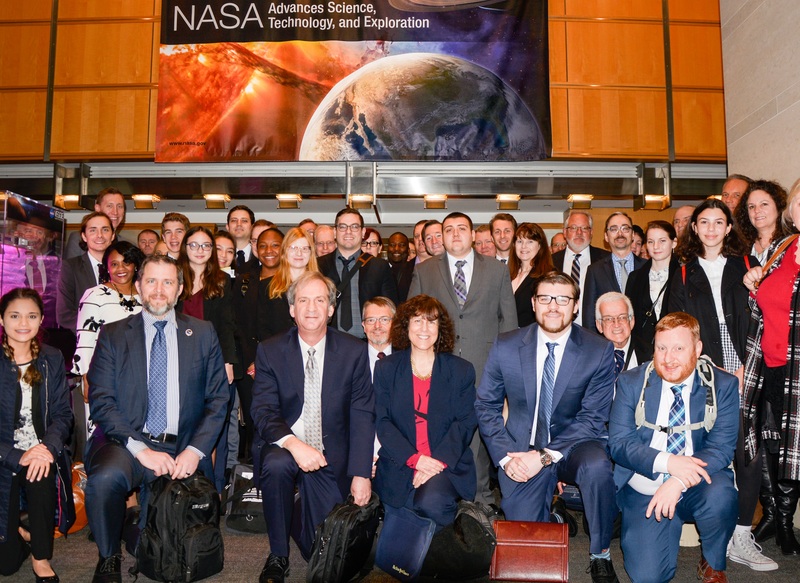 The Space Exploration Alliance (SEA) held its annual grassroots visit to Washington, D.C. in late February, convening dozens of volunteers from across the country to spend two days meeting with members of Congress and their aides on Capitol Hill. The purpose of the SEA Legislative Blitz is to advocate for a strong bi-partisan commitment to the U.S. space program, leading to the expanded exploration and development of the solar system. SEA is a nation-wide network of nine pro-space non-profit organizations, including the Mars Society, the Planetary Society, National Space Society, Explore Mars, Moon Society, National Society of Black Engineers, Buzz Aldrin's ShareSpace Foundation, Federation of Galaxy Explorers and Students for the Exploration & Development of Space. This year's Legislative Blitz brought together a record 75 trained participants to hold over 180 meetings with congressional staff from both the House and the Senate in an effort to reinforce the message that the American public supports NASA and increased funding for the agency, resulting in a sustainable U.S. space program, one that transcends partisan politics and election cycles. Some of the main points emphasized by SEA representatives during the visits included a call on Congress and the White House to “direct and enable NASA to take decisive and immediate steps to send American astronauts beyond Low Earth Orbit (LEO), first back to the vicinity of the Moon and then beyond to the surface of Mars.” Increased international cooperation among space-faring nations and support of the commercial space sector were also encouraged. “We would like to thank all of this year’s participants, especially those representing the Mars Society, for their important role in meeting with members of Congress. Urging our government to support a robust space program and keeping our sights set on human Mars exploration is critical to reaching our eventual goal of establishing a permanent human presence on the Red Planet,” said Mars Society Executive Director Lucinda Offer.